More than 60 Christian families have been denied help after the flood, just because they have not left their faith. 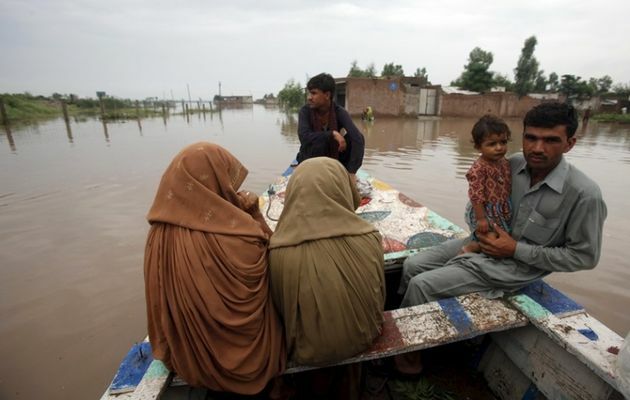 Christians in Pakistan are being forced to renounce Jesus Christ and convert to Islam or become modern-day slaves to be able to receive humanitarian aid after torrential flooding washed away their homes and belongings last summer. 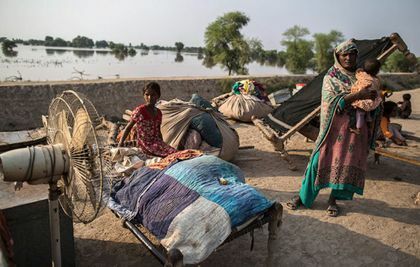 Over 60 Christian families in the region of Kasur, located in western Pakistan, are left without even the bare necessities such as food, water and medicine to fight illnesses weeks after the flooding that has already killed about 200 people. Worse, these Christians are being denied help, such as temporary shelters, food and clean water which are being extended by the Pakistani government agencies and Muslim charities to Muslims in the region. Wilson Chowdhry, the president of the British Pakistani Christian Association, said some Christians are being given the option to turn their backs on their faith to receive some help. 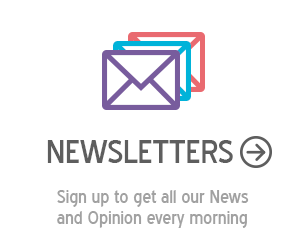 "We are aware that this community has previously been offered aid from Muslim charities if they convert, but they never accept conversion," Chowdhry said. "These families have literally been struggling without food. Churches have opened up their doors but can't provide them much aid because the churches themselves in the region are struggling. We're talking about a very rural part of Pakistan," he added. Chowdhry even said that some Christian flooding victims have already ended up signing bonded labour contracts and agreed to serve as slaves to be able to receive aid from Muslim landlords. "We have come in very late. We first went to Layyah and Gilgit, but if we could have arrived in Kasur seven days earlier, there could have been more lives that we potentially could have saved from this modern-day slavery," he said. However, these Christians have held on to their faith in Jesus Christ despite all the trials they are experiencing. They hold strong to their faith. They believe God will be their provider", Chowdhry commented. The same situation is happening to Christian flood victims in Burma, a predominantly Buddhist country. Naw, a Christian ministry worker, said he was always being told that donations have run out every time he asks for some. "I soon found out people who came after me were walking home with large bags full of relief items," Naw shared. "I thought I was alone until I shared this at the prayer meeting, and almost all of us had a similar experience, he recalled. We saw why we were often turned away with empty hands or half our share. We also know our local leader is against us worshiping Jesus. He has been trying to give us trouble, so this does not come as a surprise to us", the labour ministry added.